Our News Art: TEFAF 2018 Maastricht, featuring over 275 prestigious dealers. ???? 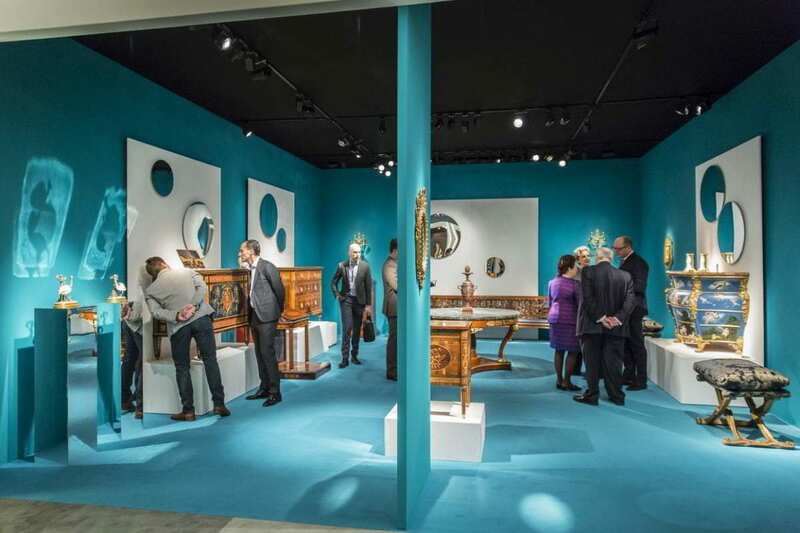 TEFAF Maastricht is widely regarded as the world’s premier Fair for fine art, antiques and design. Featuring over 275 prestigious dealers from some 20 countries, TEFAF Maastricht is a showcase for the finest art works currently on the market. The 2018 edition of TEFAF Maastricht runs from March 10 – 18, 2018. Alongside the traditional areas of Old Master paintings, antiques and classical antiquities that cover approximately half of the Fair, you can also find modern and contemporary art, photography, jewelry, 20th century design and works on paper. The upcoming edition of TEFAF Maastricht will run from March 10 – 18, 2018. A UNIQUE HISTORY. TEFAF was born in Maastricht, a picturesque medieval city in the southern Dutch province of Limburg. In the mid-Eighties, two existing fairs – Antiquairs International, for antiques, and Pictura Fina Art Fair, for Old Master paintings – merged to become a bold, new entity. In 1988 it was renamed The European Fine Art Fair (TEFAF) and relocated to the newly built Maastricht Exhibition and Congress Center (MECC). Since then, the Fair has grown exponentially and today it is an unmissable event for collectors, curators, museum directors, conservators and art lovers generally. More specialist attention in certain fields was reflected in the addition of dedicated sections over the years: starting with the Modern and Contemporary paintings section in 1991; La Haute Joailleries in 1992; and Classical Antiquities, along with Books, Manuscripts & Maps in 1993. The latter was reabsorbed into TEFAF Antiques in 2013. TEFAF Showcase was created in 2008 and gives younger businesses the opportunity to experience a top-level international art fair at relatively low cost. In addition, it became an incubator for new talent and many previous participants in TEFAF Showcase are now fully fledged exhibitors at TEFAF Maastricht. TEFAF Design was created in 2009 and brought in leading international specialists in 20th century design and applied arts; TEFAF Paper, a section devoted entirely to works on paper, followed in 2010 in response to growing demand. Finally, TEFAF Tribal was introduced in 2016 – this vibrant section of the Fair is situated next to TEFAF Antiques.